"Assembly, Kit, Manufactured or Service/Labour:	"
With this option flagged to allow narrative, on each order entry line a text field will allow entry of up to 255 characters of text to describe what it is that was achieved with the service/consultancy work your business provided. The narrative entered here in the order will be shown on the invoice. There is some criticism that entry of an order is unnecessary for a service based business. 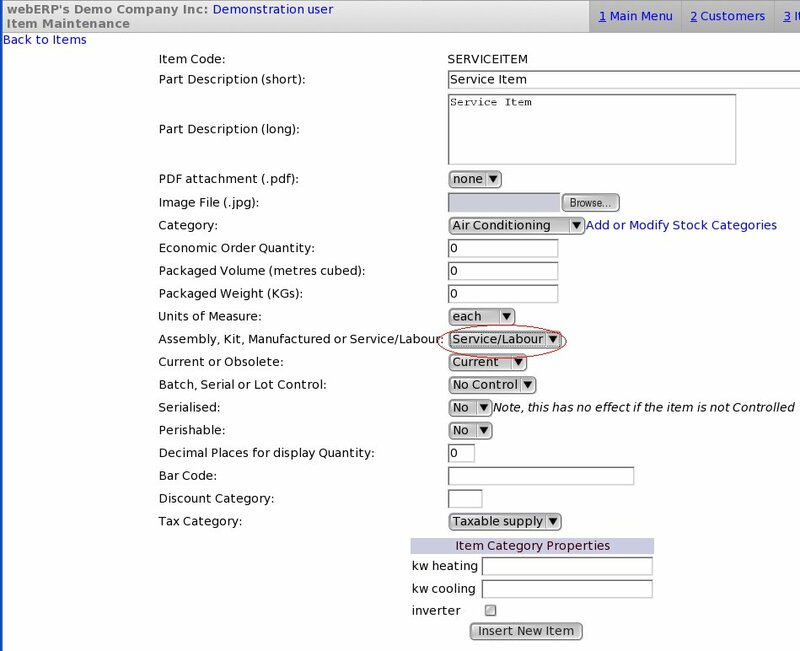 However, whilst we are required to enter an order in webERP, the invoice is only a few click exercise once the order is entered - there is no duplication of input at all. Many service based businesses agree up front on the scale of charges and the brief for the work - the order allows this to be recorded. Similarly, service based businesses often need to quote for their work before it is accepted. The same logic in webERP is therefore advantageous ... in my view!